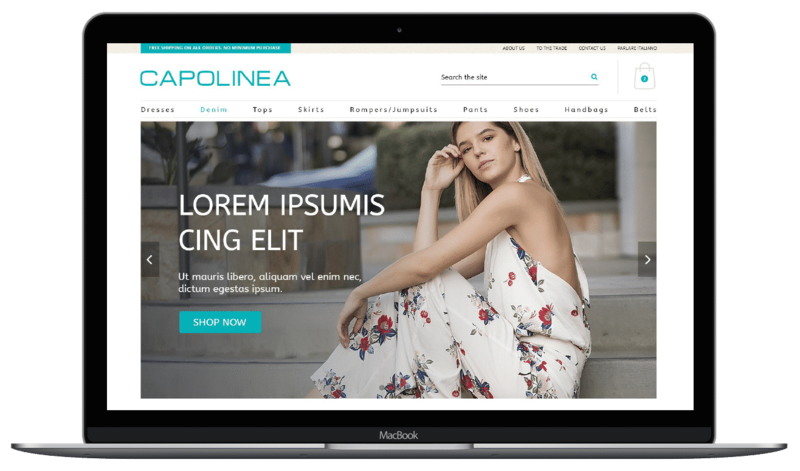 WordPress Website, Capolinea Italy - NOYO Web Development Inc. I found Nicholas and his team on Google and took a shot in the dark with no idea what I was getting myself into. I cannot tell you enough how well organized and easy NOYO Web Development made the entire web design process, I LOVE my new website and am so excited with the end result - simply amazing! In 2011, Milan was ranked #4, behind London, New York, and Paris. Many of the major Italian fashion brands, such as Valentino, Versace, Prada, Armani, Dolce & Gabbana, Marni, Iceberg, Missoni, Trussardi, Moschino, Dirk Bikkembergs, Etro, and Zegna are currently headquartered in the city. Capolinea joins these brands and strives to bring new and emerging Italian designers that are not offered in the United States. Our designers use unique fabrics and pay close attention to cut and detail. Affordable Culture delivered to your door.